Here is a clear crystal solitaire chaton pendant with a rhodium-plated attachment that reveals three beautiful crystals elegantly set. 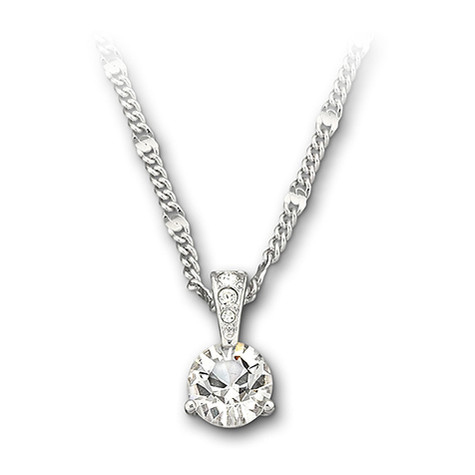 It dazzles and shimmers beautifully on the rhodium-plated chain that comes with it. This pendant comes on a chain.